Recently retired wide receiver Steve Smith Sr. will be taking his talents to the media. Steve Smith Sr. has one of the best personalities the NFL has ever seen. His toughness and play has made him an icon since he came into the league in 2001. Even with his short stature, he never let it hold him back from accomplishing anything. During his NFL career, he eclipsed more than 14,000 yards and 80 touchdowns. He is known for his trash talk on he field, but also having a big heart off it. His phrase “Ice Up Son” became popular when Smith called out Patriots’ corner-back Aquib Talib in a post game interview. This time he will be trading in the cleats to join the other side of the game, the media. Today on Twitter, Smith announced that he would be joining NFL Network. NFL Network also sent a tweet out, welcoming Smith to the family. Smith himself had some playful words for his future co-workers, including Rich Eisen. Eisen does run the 40 yard dash every year, so it will interesting to see if the two will duke it out. This move is perfect for Steve Smith Sr and his personality will fit perfectly with the analysts and staff at NFL Network. He may be a little rough around the edges when he transitions to the media side, but that is why we love him. Smith is brutally honest and tells you how it is. No one wants him to change, just because he is getting a new job and I can assure you he won’t. Along with his personality, his knowledge for the game is what will make him a great analyst. With 16 years played in the league, he has been through it all. He’s been drafted, worked his way to a starting position, played in the Super Bowl, dealt with injuries, and got cut from a team he spent almost his whole career with. All of these aspects have made him into the future hall-of-famer that he will be. 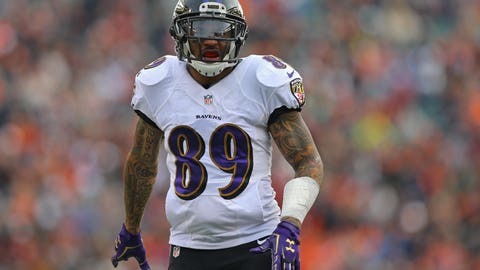 While Ravens fan will always miss Steve Smith Sr. as a player, we wish him the best of luck in the next step of his career.